Caravaggio. Original bad boy genius. Famous (and notorious) while he lived, Caravaggio was forgotten almost immediately after his death, and it was only in the 20th century that his importance to the development of Western art was rediscovered. It can be seen directly or indirectly in the work of Rubens, Jusepe de Ribera, Bernini, and Rembrandt, and artists in the following generation heavily under his influence were called the “Caravaggisti” or “Caravagesques”, as well as Tenebrists or “Tenebrosi” (“shadowists”). 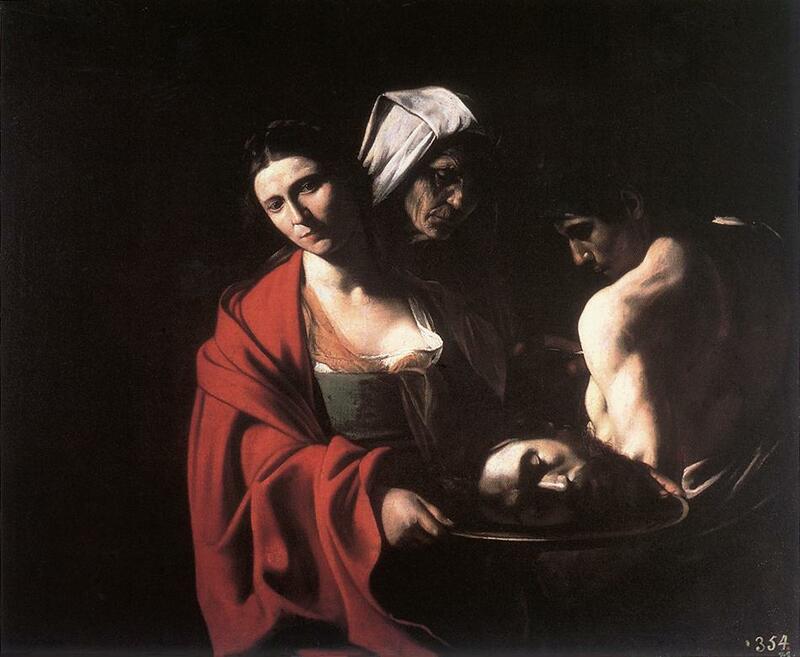 Caravaggio fled Milan for Rome in mid-1592 after “certain quarrels” and the wounding of a police officer. 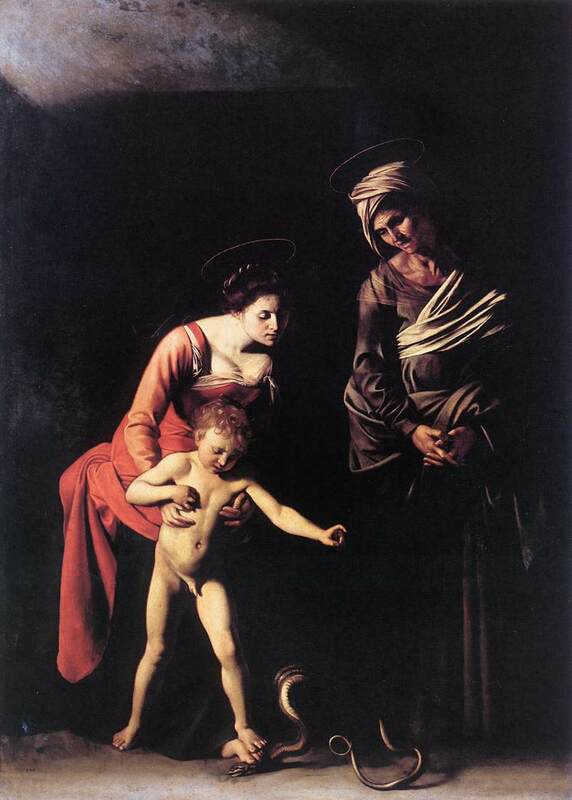 He arrived in Rome “naked and extremely needy … without fixed address and without provision … short of money.” Already evident was the intense realism or naturalism for which Caravaggio is now famous. He preferred to paint his subjects as the eye sees them, with all their natural flaws and defects instead of as idealised creations. Caravaggio led a tumultuous life. He was notorious for brawling, even in a time and place when such behavior was commonplace, and the transcripts of his police records and trial proceedings fill several pages. On 29 May 1606, he killed, possibly unintentionally, a young man named Ranuccio Tomassoni. Previously his high-placed patrons had protected him from the consequences of his escapades, but this time they could do nothing. 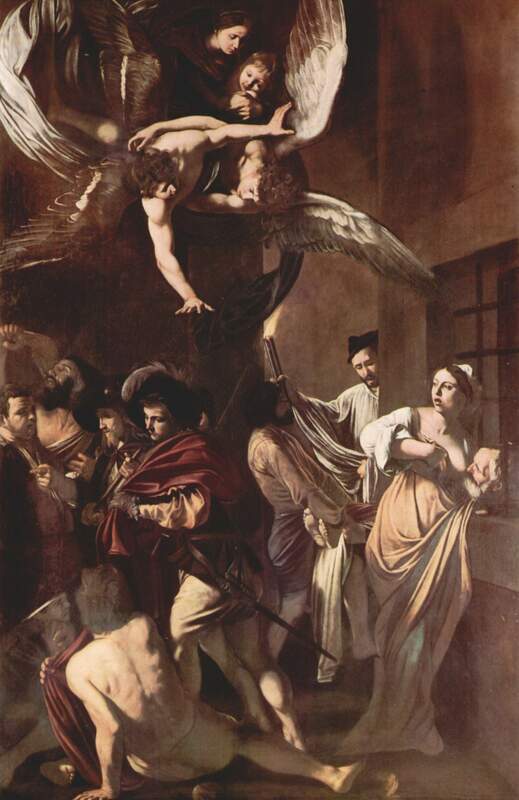 Caravaggio, outlawed, fled to Naples. There, outside the jurisdiction of the Roman authorities and protected by the Colonna family, the most famous painter in Rome became the most famous in Naples. His connections with the Colonnas led to a stream of important church commissions, including the The Seven Works of Mercy. Most of Caravaggio’s religious subjects emphasize sadness, suffering and death. In 1609 he dealt with the triumph of life and in doing so created the most visionary picture of his career (The Raising of Lazarus). 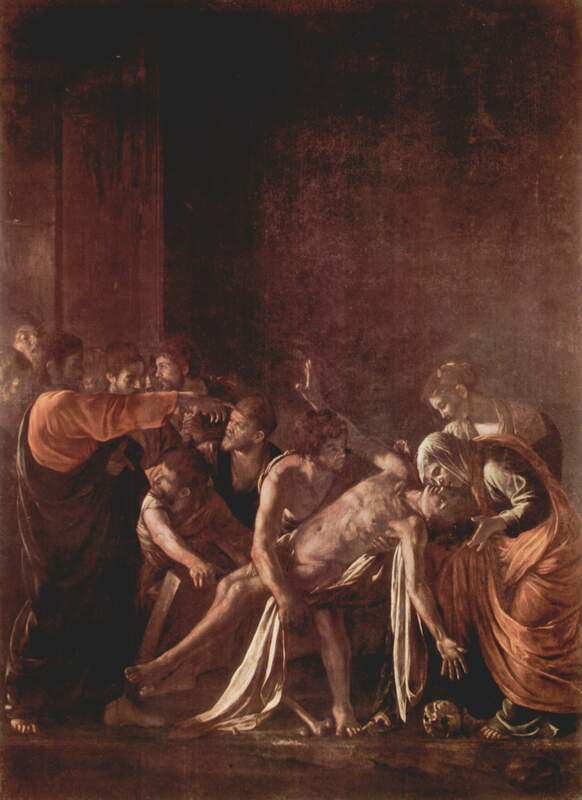 The old story that Caravaggio had a freshly-buried body exhumed for this painting is “probably apocryphal, but not beyond the bounds of possibility” (John Gash). Contemporary reports depict a man whose behaviour was becoming increasingly bizarre, sleeping fully armed and in his clothes, ripping up a painting at a slight word of criticism, mocking the local painters. In Naples an attempt was made on his life, by persons unknown. 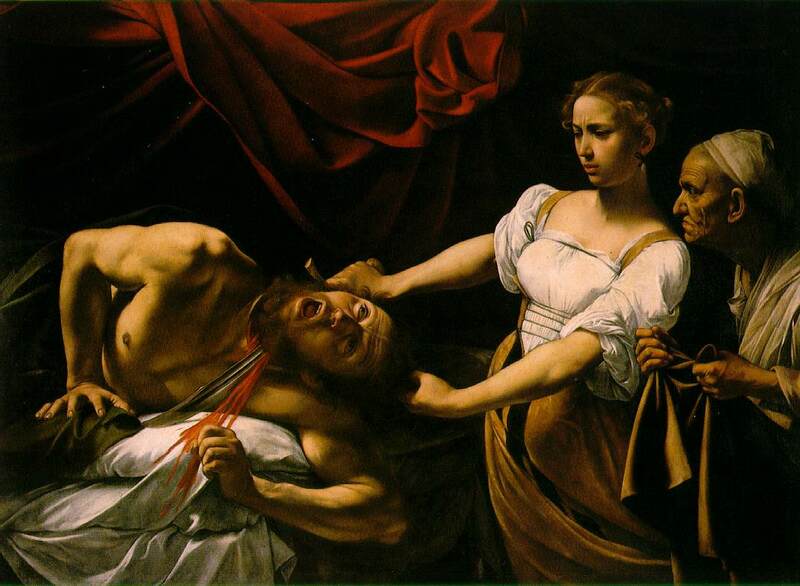 At first it was reported in Rome that the “famous artist” Caravaggio was dead, but then it was learned that he was alive, but seriously disfigured in the face. He painted a Salome with the Head of John the Baptist (Madrid), showing his own head on a platter, and sent it to de Wignacourt as a plea for forgiveness.